Gerald began a career in the fire service in 1977 as a volunteer with the Wayne Township Fire Department at the age of sixteen. He started as a cadet and took classes to advance himself in the fire service. By 1984 he had become the youngest firefighter in Wayne Township to hold the rank of District Chief. He was hired by the Pike Township Fire Department in July of 1983 as a recruit. By 1987 he had been promoted to Lieutenant and by 1988 he had earned the rank of Captain. In 1989 he was asked to fill the position of Shift Commander when a vacancy in that position came open. He filled the role as Shift Commander in charge of one 24/48-hour shift with approximately 40 personnel and five stations. In 1990 he was asked to take a daytime position as a Division Chief in charge of directing and managing the department’s Special Tactics and Rescue (STAR) Team. The Team was in its inception at the time and he spearheads the transition of the Team and the training’s associated with bringing all assigned personnel to the level of Basic Emergency Rescue Technician (BERT). He also assisted with the startup of the Marion County Rescue Task Force and served as the department’s representative to the Marion County Hazardous Materials Task Force. In 1993 he became the Deputy of Emergency Services in charge of Fire Suppression activities, Emergency Medical Services activities along with still managing the Special Tactics and Rescue Team. He held this position until January of 2000 when he decided to return to shift operations. He currently serves as the department’s agency representative to the Marion County Rescue Task Force were he serves as one of six Task Force Leaders. He has been with the Task Force since its inception in 1988. With the Marion County Rescue Task Force/Indiana Task One he has been on multiple Federal Deployments including, Hurricane Marylyn, 1996 Atlanta Olympics, Hurricane Floyd, World Trade Tower collapses, Hurricane Isabel and Hurricane Rita. He has served as Safety Officer, Planning Team Manager and Task Force Leader on these deployments. He has also served as an IST member on multiple other hurricanes missions, including Hurricane Ivan on an RNA Team and Deputy Operations on Hurricane Katrina and most recently Hurricane Sandy. In January of 2007, he became Fire Chief of the Pike Township Fire Department. The fire department for which he has served since 1983. The Pike Township Fire Department is located on the northwest side of Marion County, Indiana, on the outskirts of downtown Indianapolis. It is a 150-person career fire department covering 44 square miles and provides emergency services including fire response, EMS response at the ALS level, hazardous materials response, dive response, and other associated technical rescue responses. 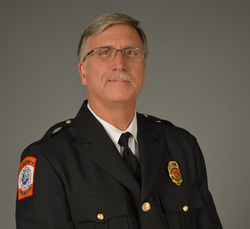 During his tenure as the Fire Chief, Gerald has served on the Indiana Board of Firefighting Personnel Standards & Education, a board that oversees the fire certifications for the firefighters in the state of Indiana. He served on that committee for one year. He also served on the Metropolitan Emergency Communication Agency (MECA) board as the proxy for his supervisor, Trustee of Pike Township. As a member of this board he oversaw all emergency communications for the Marion County, Indiana including the city of Indianapolis. 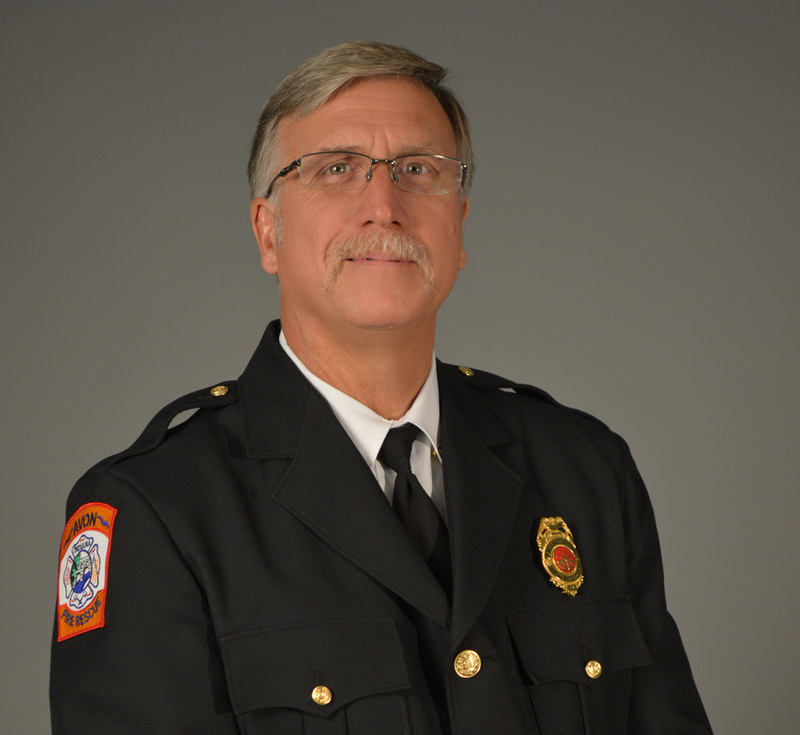 He currently serves on the Board of Director of the Indiana Fire Chiefs Association since 2006, and served as the President in 2009. As a member of this Board, he also chaired the Technical Rescue Committee that has been tasked with increasing the capabilities and response for technical rescue in the state of Indiana. He has been able to work the Indiana Department of Homeland Security in securing grants for both equipment and training related to technical rescue. He chaired the committee that put together the first technical rescue awareness program for the state which include the curriculum development and trained over 1000 firefighters before finalizing the program through a grant by IDHS and sending the program to all 850 fire departments in the state. He also served on a committee that developed the written tests and practical skill sheets for all seven technical rescue disciplines and worked with the Board of Firefighting Personnel Standards & Education to get operation and technician level certifications as part of the state’s certification process. He also serves as a Board Member for the Indiana School Specialist Academy since the 2009-2010 school year. In this capacity, he helped identify critical issues related to school safety and the need for school safety specialists. Gerald retired from the Pike Township Fire Department in January of 2013 with over 30 years of service and now works as the Assistant Chief for the Washington Township / Avon Fire Department in Hendricks County, Indiana. He oversees the daily operations of three (3) Battalion Chief’s and three fire stations.